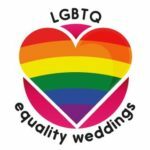 « How Popular are Quirky Wedding Venues? Our Winter or Christmas wedding and New Year COMPLETE PACKAGE is available on one weekend in December and one weekend in January. It includes the barns, accommodation, catering and lots more. 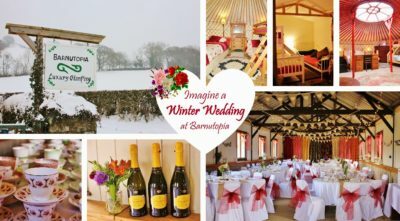 A winter glamping wedding or party weekend at Barnutopia is perfect for the festive season. All you have to do is turn up with your guests. 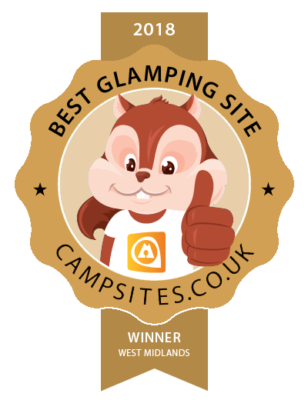 Our package includes exclusive use of the venue, barns, facilities, luxury heated glamping accommodation, venue and table dressing, catering and a lot more. You can personalise the weekend with your own touches, of course. Here are some great winter wedding tips. Non-residential guests may camp may make their own arrangements in local guesthouses, B&Bs and hotels. Barnutopia is located in the Shropshire countryside, which is stunning at any time of the year. Feel free to peruse our venue hire information for further details. If you’d like to take advantage of this Christmas wedding (or other party) all-inclusive package, please get in touch with Mrs B at MrsB@barnutopia.com or 01691 791 624. Tagged Christmas party, Christmas venue hire, Christmas wedding, winter wedding. Bookmark the permalink.